Today I began researching surface modeling packages as we are quickly approaching the end of our competition phase and will soon be working with our community of designers (particularly the winning designer) to bring their sketches to life. One such package that I researched was ICEM - both their ICEM Surf and ICEM Surface packages. These packages, as well as other surfacing software from other suppliers are very powerful tools that allow a wide range of surfacing capabilities from creation to reverse engineering - very useful in all areas of the prototyping phase. 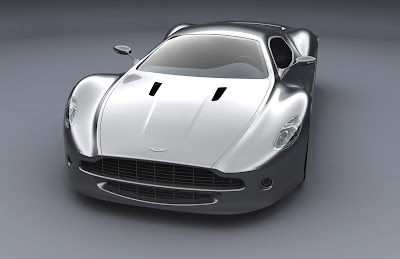 The software can be used to generate models, scan a clay model or a car and create a surface model that can be accessed by our engineering CAD package and modified, used for tooling etc. Although I was not able to determine what package the images below were generated in, it is my understanding that this type of quality can be obtained from such surfacing packages, as seen in many of the portfolios in our community of designers...absolutely amazing. This is a designer from the Netherlands' (not from Aston Martin) idea of what the next Aston Martin should look like (See the link above for more pictures). As I continue my research on this technology, we will have to determine if this will be a core competency or if we will have to outsourced...stay tuned!